Was this rare photo made in 1944? Discussion in 'Normandy Landing Beaches' started by EKB, Oct 15, 2018. Found this image said to be a "SS sniper" captured by the British Army after the D-Day invasion. The man taken prisoner has a U.S. one piece pullover in HBT camouflage, sometimes referred to as frogskin or duck hunter pattern. 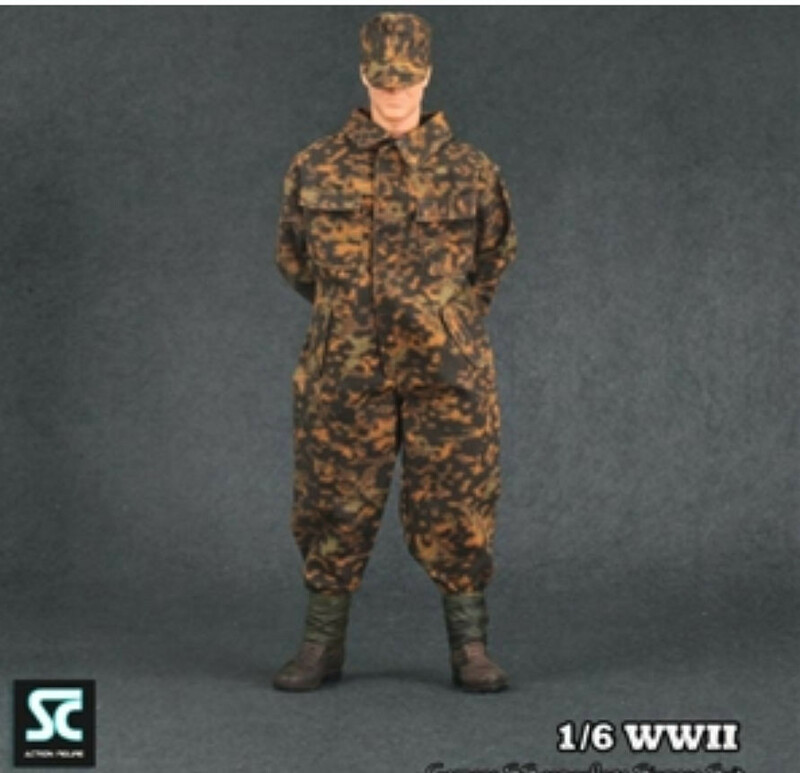 This uniform was common at U.S. training bases but not widely used in combat. One piece uniforms were not popular with the infantry because the man often had to remove equipment to empty his bladder or bowels. Training photos do exist of one-piece HBT issued to U.S. Army Amphibious Scouts and Raiders. The American beach recon teams sometimes worked with British COPP (Combined Operations Pilotage Parties). 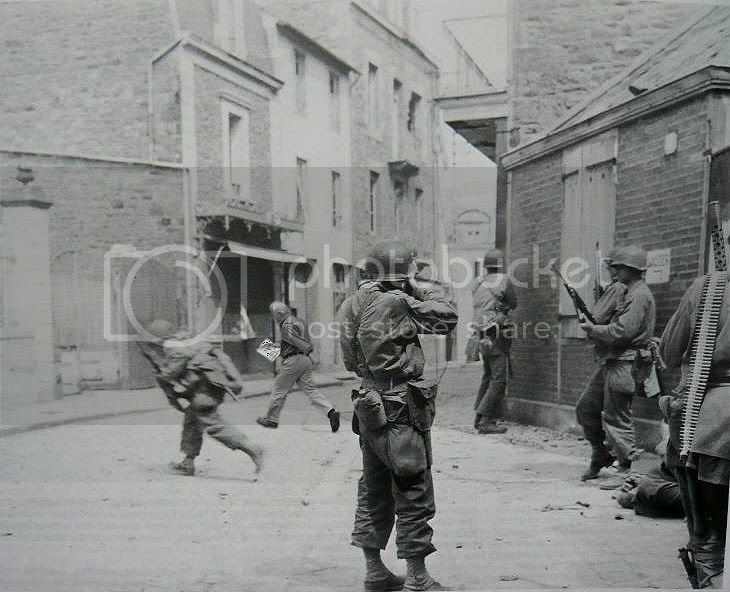 The scouts and raiders were small in number and I don’t know if any were captured with HBT pullovers. That might be the best explanation for a German soldier that obtained this type of garment. One other possibility is shot down air crew. More than a few pilots wore non-standard clothing. There are many photos of infantry and engineers of the 2nd Armored Division with the two piece version of the HBT camo, including some classic images made by Robert Capa. 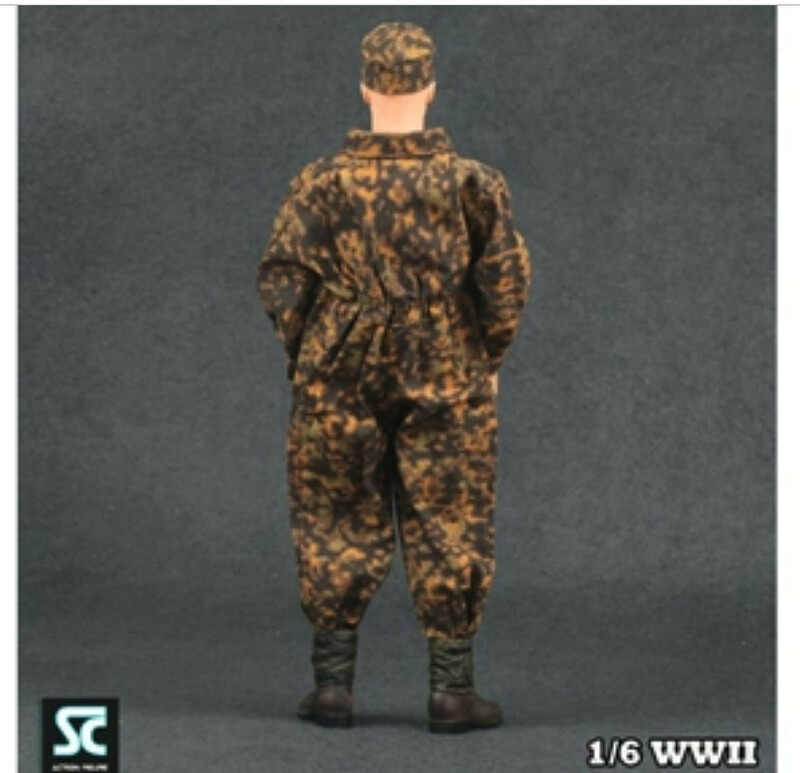 However I have not seen photos to suggest that the tank crews got the one piece camo coveralls. Maybe someone could confirm this is a vintage photo and not modern re-enactors. The stone wall does look typical of those in Normandy. I didn't find any photos of prototype Apparently very rare. 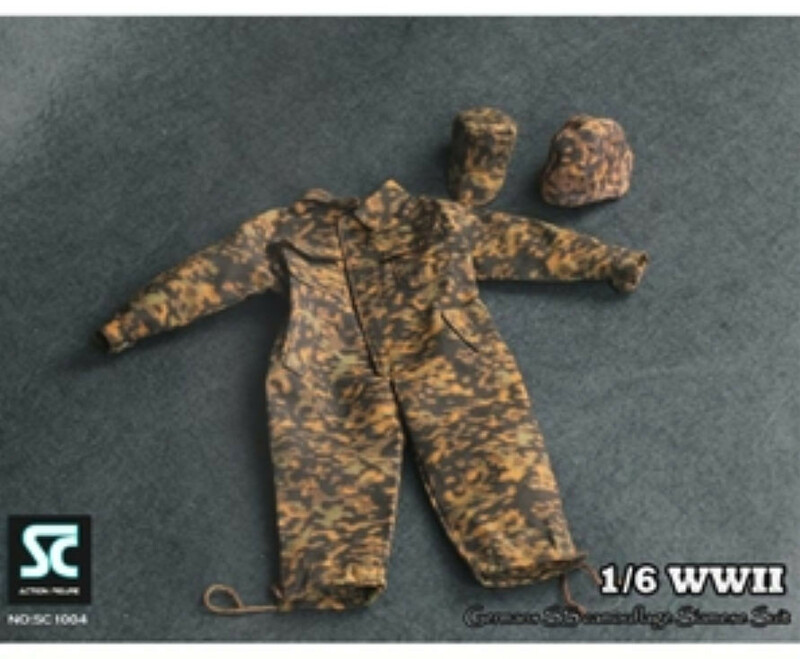 Yeah, I don't think the one-piece U.S. Army HBT camouflage "jungle suit" had the drawstring in the small of the back that shows up in the photo? My instinct on that shot is always 'reenactors', but there's quite a body of opinion that it's taken at a British sniper school with the US camo chap playing German. I am suspicious. The chap holding a Sniper Enfield is cited as somehow confirming things, but it might as well be a reenactor. May as well throw in the classic 'US Normandy Camouflage' pic. Fancy wearing that in a world where the enemy looks near identical? No... neither did anyone if sketchy mentions are to be believed. You have to watch out for those pesky re-enactors....they get in everywhere !